Trevor tasks Juan, Cool Josh, and Jake to bring in some of their favorite pieces of gear. 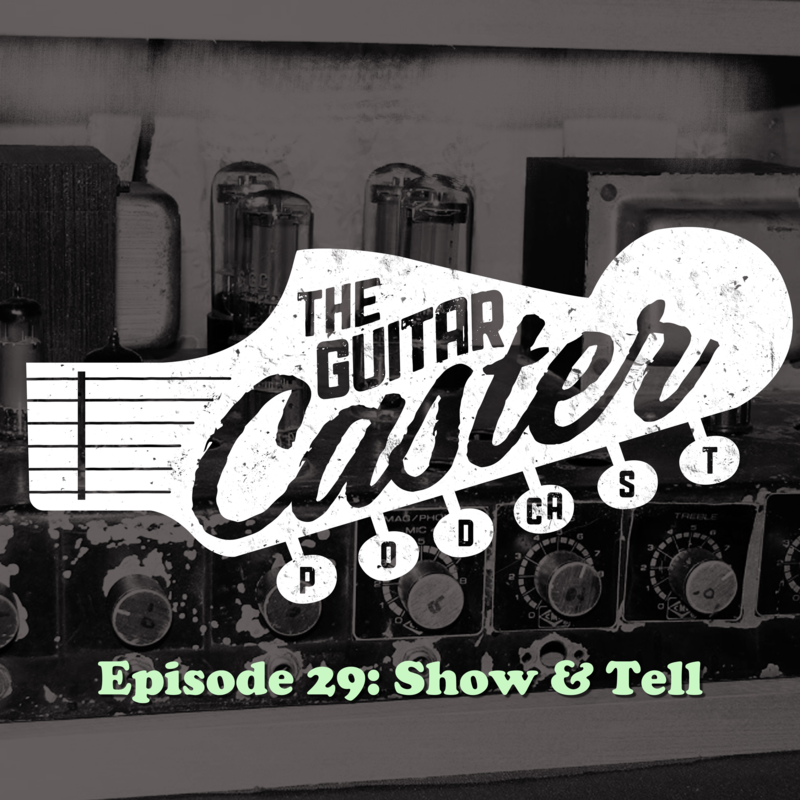 Notable mentions include Juan’s heavily modified pedals, Trevor’s SL-20 Slicer, Jake breaks down his pedalboard for gigging, and Cool Josh brought his slide instead of the super famous guitar he owns. This episode announces, “Bon Voyage!” to Cool Josh. He is headed to Vermont to study bread baking. After that he plans on heading to Ireland to work at The Happy Pear. In addition, Juan surprises Jake with a pedal version of one of his amps, Juan and Josh wonder where Becca has been from Tonereport, Trevor wonders if the phase pedals from Australia swirl the opposite direction as those made in America, and Jake shows off some really interesting octave pedal tricks. Be sure to have Juan modify a boring old pedal of yours collecting dust in the closet or just have him build you something from scratch by getting ahold of him at juanM@steamboatampworks.com or his Instagram @PedalsByJuan.